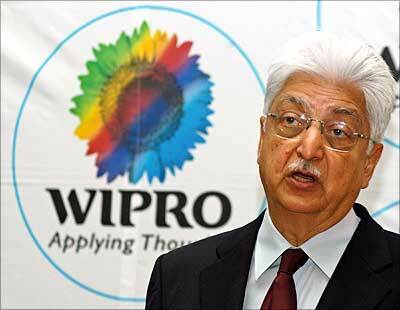 A group of prominent personalities, including industrialists Azim Premji, Keshub Mahindra and Deepak Parekh, have expressed concern over a series of scams leading to 'governance deficit'. In an 'open letter' addressed to the nation's leaders, they expressed alarm at the governance deficit in every sphere of national activity and asked the government to deal with issues like corruption urgently. "We are a small group of like-minded citizens who are concerned with the general deterioration in the overall value system of the nation, but have abiding belief and commitment in India's potential and prospects as a successful democracy. "We are a fraction of a very large number of Indians who, we believe, share our hopes and aspirations but have no means to channel their views and opinions in India's public domain. "In the last few months, the country has witnessed eruption of a number of egregious events, thanks to an active media eagerly tracking malfeasance. There are, at present, several loud and outraged voices, in the public domain, clamouring on these issues which have deeply hurt the nation. "We do not wish to add to the confusion by joining that debate. What we are deeply worried about is not to allow India's huge growth potential and poverty alleviation challenges to be diluted or digressed from, and which would be a great loss, especially to the poor and the dispossessed. "Our aim is to try and rise above the present clamour and seek a more confident and purposeful national environment. "As concerned citizens, who have full confidence in the country's ability to reach its social and economic development potential, and who have a deep and abiding faith in India's prospects for a vibrant, pluralist and successful democracy, we have put down a few thoughts. "This letter is the beginning of our aim to develop specific actions and recommendations which shall be placed in the public domain, from time to time. "We are alarmed at the widespread governance deficit almost in every sphere of national activity, covering government, business and institutions. Widespread discretionary decision making have been routinely subjected to extraneous influences." 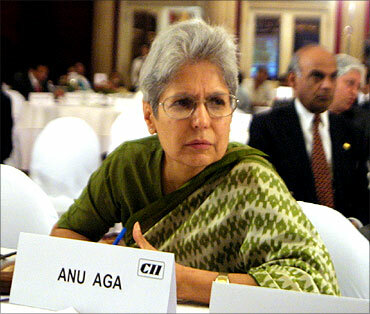 Image: Thermax chairperson Anu Aga. "The topmost responsibility of those at the helm of the nation's affairs must be to urgently restore the self-confidence and self-belief of Indians in themselves and in the State, as well as in Indian business and public institutions which touch the lives of every Indian. "The judiciary is a source of some reassurance but creation of genuinely independent and constitutionally constituted regulatory bodies, manned by persons who are judicially trained in the field concerned, would be one of the first and important steps to restore public confidence. "Possibly, the biggest issue corroding the fabric of our nation is 'corruption'. This malaise needs to be tackled with a sense of urgency, determination and on a war footing. "The institution of Lok Ayuktas, vested with adequate powers, would go a long way in effecting the needed correction, as is evident from the example of Karnataka. "There is a need for every State to have effective and fully empowered Lok Ayuktas and, indeed, for early introduction of the Lok Pal Bill at the national level, for the purpose of highlighting, pursuing and dealing with corruption issues and corrupt individuals." 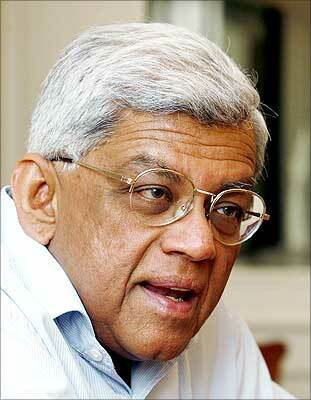 Image: HDFC chairman Deepak Parekh. "Apart from speedily installing independent Lok Ayuktas, it is essential that their investigative agencies and law enforcing bodies should be made independent of the executive. "Amongst several urgent steps needed, this is possibly the most critical one that the nation can immediately initiate in order to reassure its citizens that corruption will be most severely dealt with, both at the branch and at the root level. "Time is overdue for India's elected representatives to distinguish between dissent and disruption, while in the era of coalitions, tolerance of compromise still remains a challenge. "Elected legislators and leaders must acknowledge and demonstrate their collective role and responsibility in restoring a sense of purpose and confidence in national institutions. "It is widely acknowledged that the benefits of growth are not reaching the poor and marginalised sections adequately due to impediments to economic development. 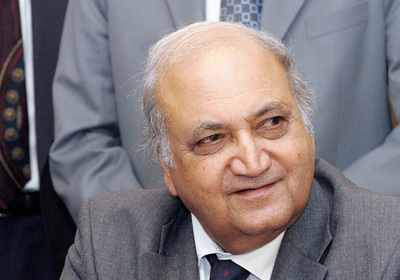 Image: Mahindra and Mahindra chairman Keshub Mahindra. "This is because of some critical issues like environmental concerns and differences in perspectives between central and state governments. "It is imperative to establish ways and means, for every Indian, to feel that they have genuine equal opportunities, access to decision makers and a stake in India's progress. "Dealing determinedly with governance and aggressively against corruption, while openly debating these issues by elected legislators is the only means left to reassure our citizens. "We believe that through urgent, concerted action in which we are ready to lend a hand, positive change can be achieved." Signed: Anu Aga, Ashok Ganguly, Jamshyd Godrej, Bimal Jalan, Keshub Mahindra, Yezdi Malegam, Nachiket Mor, M Narasimham, Deepak Parekh, Azim Premji, B N Srikrishna, N Vaghul, A Vaidyanathan, Sam Variava. 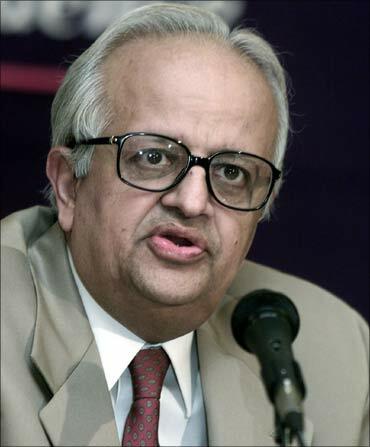 Image: Former RBI governor Bimal Jalan.